Find answers here to many of your frequently asked questions. DNAMatch imports two types of data, Profiles and DNA match data. Profiles contain information about a single person such as name, email, family surnames, gender, haplogroup types, etc. Profiles contain no information about matches with other persons. The menu item "matches" in the FTDNA Family Finder actually points to the PROFILES of the people with whom you have matches. For DNAMatch this data is known as the FTDNA Profile Data. It is often mistaken for Match data which it is not. The Profile data for 23andME is found in the Family & Friends > DNA RELATIVES section. The second type of supported data is DNA Match data. Each line of DNA Match data contains the names of two persons who match each other on a particular chromosome segment. In addition to the names of the persons, it contains the chromosome identifier, the start and end points of the match, the cM length and the number of SNPs. 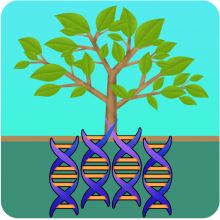 23andMe match data is downloadable fom the 23andMe Family Inheritance: Advance tool. FTDNA Match data is downloadable from the FTDNA Chromosome Browser tool. This is the most common problem that new users of DNAMatch encounter. This error indicates that you have mistakely picked the incorrect format from the input file popup for the file you are trying to import. What Files Does DNAMatch Support? DNAMatch imports two types of files, Profiles and DNA match files. Profiles contain information about a single person such as name, email, family surnames, gender, haplogroup types, etc. They contain no information about matches with other persons. The menu item "matches" in the FTDNA Family Finder actually points to the profiles of the people with whom you have matches. This data is actually profile data and it is identified in DNAMatch as FTDNA Profile Data. The Profile data for 23andME is found in the Family & Friends > DNA RELATIVES section. What is the difference between the Close Relative and Sibling Filters? The Close Relative filter applies to the primary subject of the query. When close relatives are added to the primary person in the Person Tool and the exclude close relatives option is chosen in the Match Criteria view, those identified as close relatives to the primary subject are not included in the search results. The Siblings filter applies to the secondary subjects of the query. When siblings are added to persons in the Person Tool and the Add Siblings to Names option is chosen in the Match Criteria View, those identified as Siblings to the secondary persons are automatically added to the query results. How Do I Asssociate A Surname With A Person? There are two ways to associate a surname with a person. The easiest way to associat a surname with a person is to go to the persons profile and enter a comma seperated list of the surnames you want to associate with the person into the Surnames Note field. The names must be separated by commas. Once you have typed the surnames into the Surnames Note field, you must tap the Associate Surnames button below the Surnames Note field. The second way to add surnames is to first add the surname by using the Surnames Tool. Once the name has been added to your project database, you can associate the surname to one or more persons in the Person Tool. Select a person in the Person Tool and then tap on the Add Surname button. A popup with available surnames will show. Tap on the surname you want to associate with the person. BE SURE to tap the Save button to save you updates. Chromosome 0 is actually the designation for the X chromosome in DNAMatch4iPad. Currenlty only 23andMe reports the X chromosome. Why Didn't The Chromosome Filter Save The Values I Selected? The Chromosome Filter allows the selection of multiple chromosome values. Filters that allow multiple values to be selected have a Done button at the top of the popup and it needs to be tapped to save any selected values. Filters that allow only a single value, immediately return themselves once a value has been selected. Another thing you will want to check on the Search Criteria view is if the Exclude Close Relatives switch is checked. If it is, anyone defined as a close relative to the primary person will not be return in the search. What Is The Primary Person? The primary person is the person that all other persons in the project will be compared to. Those persons who do not have matches with the primary person will not be shown in query results. The primary person is often the person for whom the project was set up, but it can be anyone with DNA matches in the project.